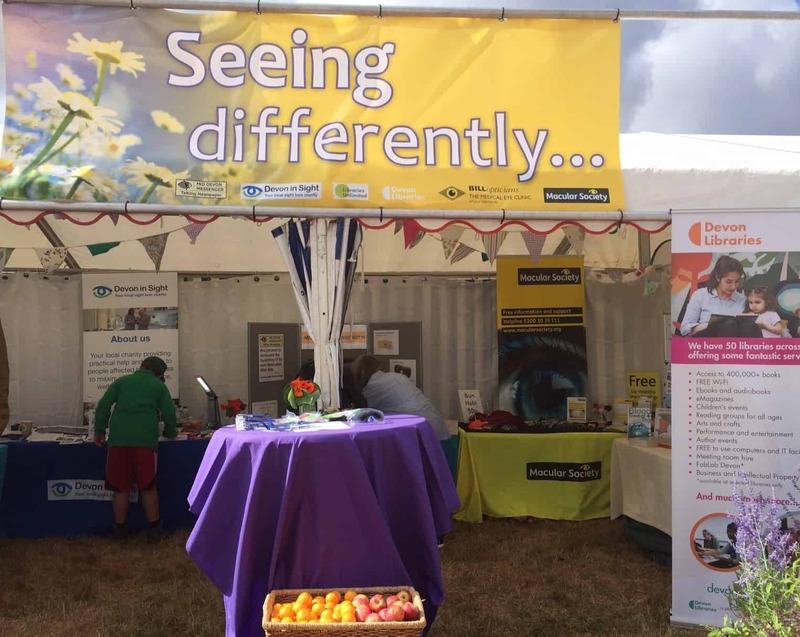 While for some at the Mid Devon Show the sunshine was interspersed with showers, at the ‘Seeing differently’ tent the atmosphere remained upbeat and positive all day. 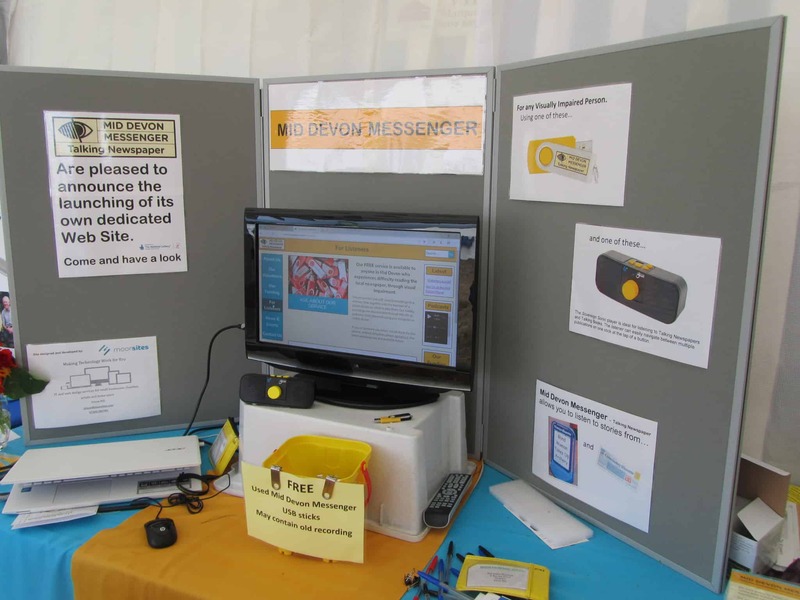 Here the Mid Devon Messenger – Talking Newspaper launched its independent website. The Mid Devon Messenger – Talking Newspaper joined with the Macular Society, Tiverton Library, the support organisation Devon in Sight, and optician Bill and Savage, to highlight that the risk to sight loss can start at an early age (25,000 children in Britain are blind or partially sighted). It was also the opportunity to launch its own website. With advice from ‘Involve’ in Tiverton, the site was designed and developed by Simon Hill at moorSITES and funded through National Lottery – Awards for All. The web site, while carrying a link to the weekly recording of the Tiverton and Culm Valley Gazettes, is not targeted specifically to the Blind and Visually Impaired. It is a means by which others may learn of the activities, volunteer roles and finance which are all elements in the make up of an organisation like the Mid Devon Messenger. One fact: while free to the end user, there is a set up cost of £80 to the Mid Devon Messenger – Talking Newspaper, each time we have a new listener join the ranks. In the last year there was a gain of 35 new listeners. We’ll let you do the maths. Of course, the website can reach those for whom the ‘Articles for the Blind’ postal service is not available. Dementia sufferers, those with Parkinson’s, Nursing home discussion groups, in fact anybody who has issues with being able to read.